Yesterday Google released a new service/app called YouTube Music. Now you are wondering what is it? Here, let us help you with our great explanation...Remember those days of coming home from school, flipping on the TV, and watching an endless stream of music videos on MTV? Neither do we. But if there was some alternate reality where something like that happened, YouTube Music would be like that. It’s a new app Google is launching that, as the name suggests, is focused only on music. Just picture what would happen if Pandora and YouTube were to have kids. The app is free to download and although having YouTube Red (which you’ll be given a free 14-day free pass for tying out YT Music) makes the whole experience better (ad-free listening, background music play, audio-only mode), it’s entirely possible to enjoy this without it. Just be prepared for the usual assortment of ads to popup in between music. Using it is simple. 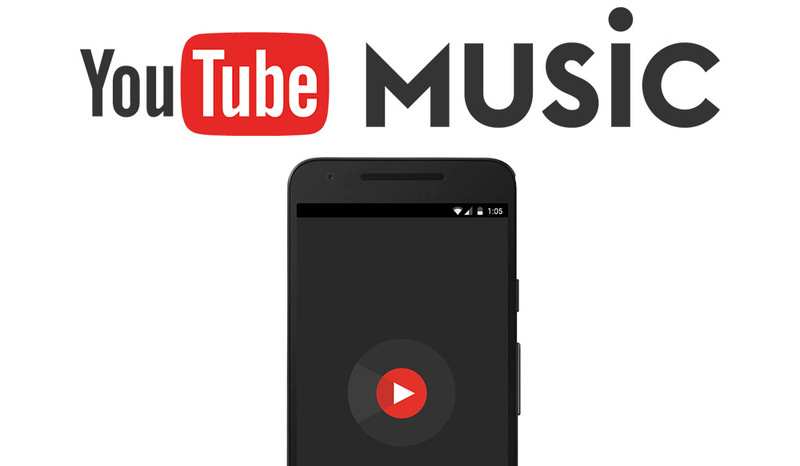 Just fire up a song from your favorite artist and watch as YouTube Music builds a station based on that. You can like music (or dislike) videos just like in the YouTube app, and there is a handy slider for adjusting station variety. 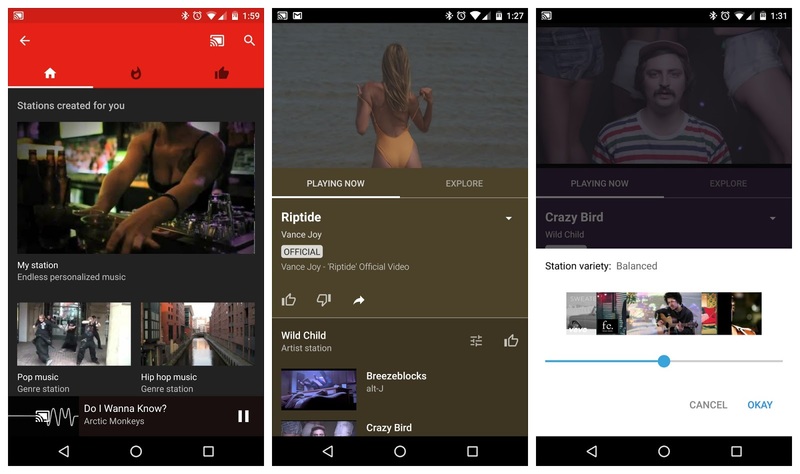 It’s quite literally a music video-only YouTube experience and only further adds value to Google Play Music/YouTube Red’s monthly service fee. We think those that listen to top 40 or popular music on the radio will feel right at home — most of those song are accompanied by a music video. For those with most obscure tastes, you may have trouble finding your favorite indie videos or you’ll just run into a lot of those videos with static album art. For everyone else, downloading the app is free so give it shot.